Following the release and announcement of the new Milwaukee M12 XC 6.0 ah & Compact 3.0 ah Batteries I was able to get my hands on them for review. 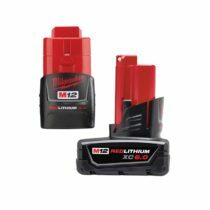 What’s great about these new M12 batteries is that they both offer the highest battery capacity for the M12 12 volt system (or any other 12 volt power tool system for that matter) in either compact battery or high capacity battery form factor. 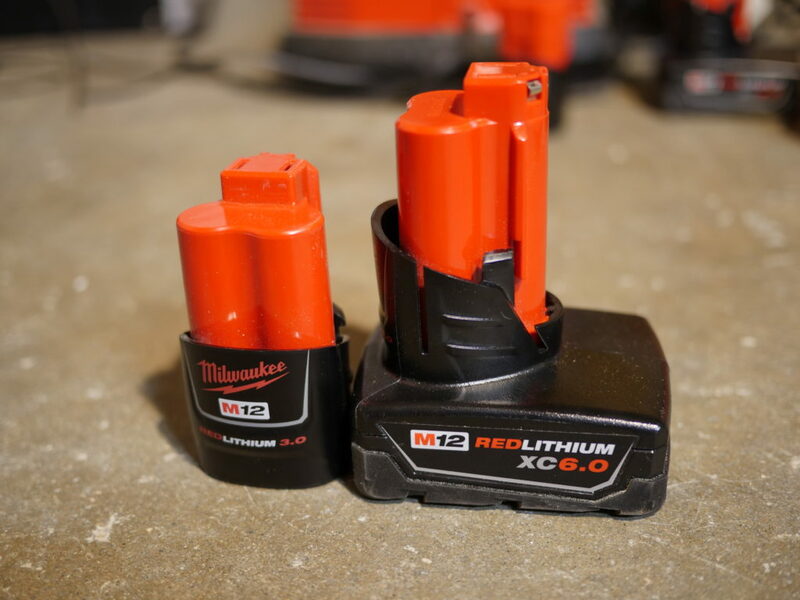 Although Milwaukee already has 3.0 ah 12V batteries, the thing about the previous 3.0 amp hour batteries is that they were high capacity batteries with larger form factors. 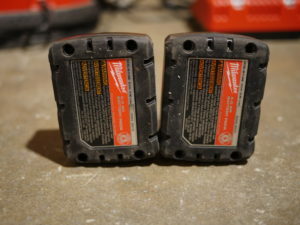 They are bigger because they house 6 battery cells instead of the usual 3 cells found on typical 12V batteries. This larger battery adds size to normally compact 12V tools and adds a bit of additional weight. So what makes the NEW M12 compact 3.0 ah battery is that it offers the same capacity as the previous 3.0 battery but in a compact form factor with only 3 battery cells inside. 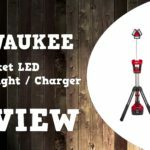 The benefits are additional runtime compared to current compact 1.5 ah & 2.0 ah batteries, plus it keeps M12 tools compact and as light as possible. The M12 XC 6.0 ah battery is not a compact 12V battery as it is a high capacity battery otherwise known as a M12 XC battery with “XC” meaning “Extra Capacity”. 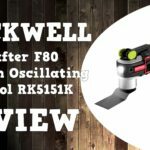 You reach for XC batteries when you need longer runtime and also to feed power hungry tools such as the M12 Fuel circular saw, M12 Bandsaw, M12 Fuel Hackzall, and M12 rotary hammers for example. Before now, the largest M12 XC battery was the XC 4.0 and the XC 6.0 offers an additional 2 amp hours of runtime in the same form factor and weight. 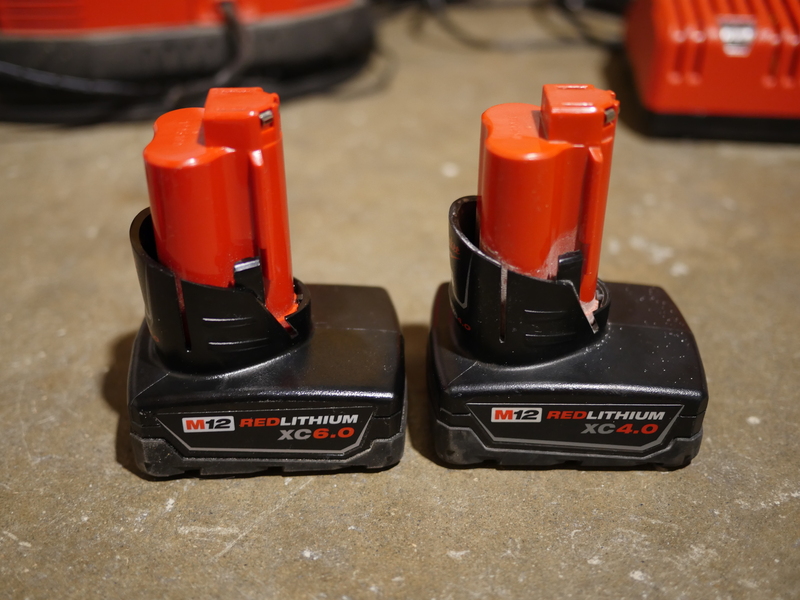 The reason the compact M12 3.0 and XC 6.0 have larger capacities is because they pack higher capacity battery cells and both offer 3 amp hour battery cells with the compact M12 3.0 battery using three 3ah cells in series to pump out 12 volts (10.8 volts nominal) at 3 amp hours and the M12 XC 6.0 uses six 3ah cells in parrallel to pump out 12 volts (10.8 volts nominal) at 6 amp hours. The M12 XC 6.0 48-11-2460 looks pretty much identical to the other M12 XC batteries the only physical difference being the 6.0 label and is roughly the same weight. I couldn’t note any difference physically between the new 6.0 vs my XC 4.0 batteries as they look pretty much identical in all respects. The same goes with the compact M12 3.0 battery 48-11-2430 compared to other M12 compact batteries. It looks identical to my M12 1.5 and 2.0 compact batteries. 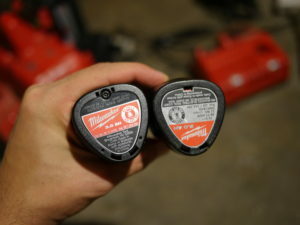 The only difference physically is that Milwaukee added a screw at the bottom of the battery and the wording on the label on the bottom of the battery is upside down (not that it matters what direction the wording faces). I’m not exactly sure why the new screw is at the bottom of the battery but my guess is to fix an issue I’ve had with some of my current compact M12 batteries as the black plastic gets loose from the red plastic. This has only affected some not all of my compact M12 batteries and doesn’t affect anything so far but one battery is particularly loose feeling. I believe the new screw is there to keep the black plastic from coming loose from the red plastic on the battery, but again this is my guess and only time will if this is true or not. 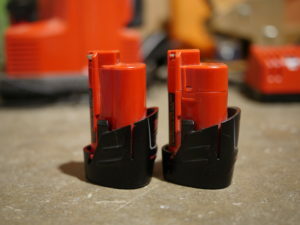 I do want to mention that none of my M12 XC batteries feel loose between the two plastic components so this must only be an issue related to the compact batteries and the fact that the new M12 XC 6.0 doesn’t have the screw at the bottom only further confirms my suspicions. So to test these new bad boys I put them through the paces by running them on a few M12 power tools to test out their added runtime. So I ran the compact M12 3.0 battery on the M12 Vac and M12 Fuel Impact driver. It got 29 minutes of runtime on the M12 Vac, and for comparison I achieved 42 minutes of runtime with the XC 4.0 battery which is about 9.6 minutes of runtime per amp hour on the M12 compact 3.0 versus the 1o.5 minutes of runtime on the XC 4.0. These are nice results as you get almost the runtime of the XC 4.0 battery but with the weight savings of the more compact form factor of the compact 3.o battery. I also tested the new compact M12 3.0 battery on the M12 Fuel impact driver and achieved 152 3 inch screws driven into a 4×6. In comparison, I ran the same test with the compact M12 2.0 battery and got 94.75 screws driven – the 95th screw only went in about 3/4 before the battery gave out. So it’s a nice bump in runtime of 152 screws driven VS 94.75 on the M12 2.0 battery. That also means I got 50.66 screws driven per amp hour on the compact M12 3.0 battery VS 47.37 screws per amp hour on the M12 2.0 battery, so not only did I get more total screws driven, I got more screws driven per amp hour as well. All of this without having to go with a larger XC battery which would make the very compact and light M12 Fuel impact driver bulkier and heavier. 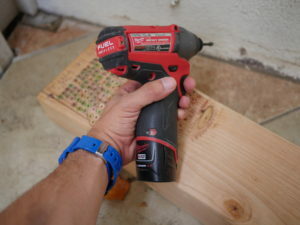 With the M12 6.0 battery on the M12 Fuel circular saw I got 105 cuts into 2×4 lumber. This is a good increase in runtime VS the 61 cuts I achieved on using the M12 XC 4.0 battery. That’s 44 more cuts versus the M12 XC 4.0 battery! I also got an amazing amount of cuts with with the M12 Fuel circular saw using the new XC 6.0 battery with an impressive 223 cuts into 2×4 lumber. 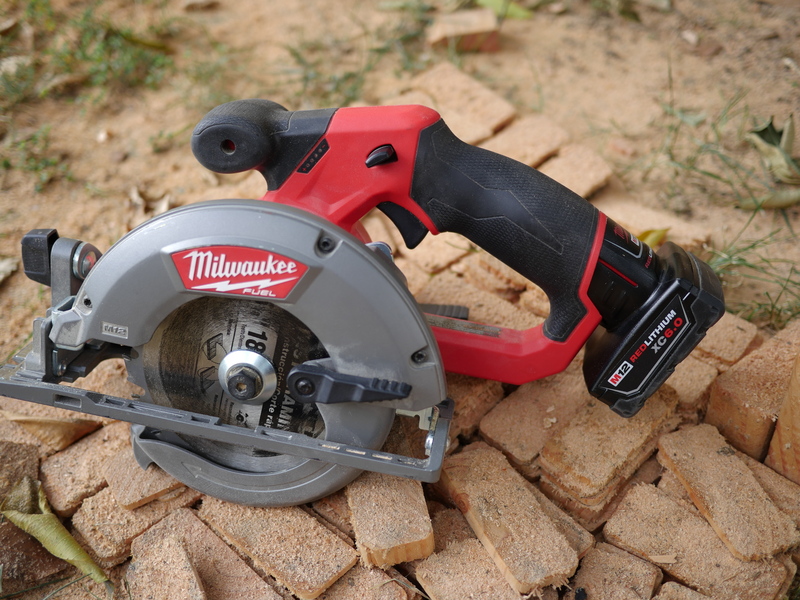 With that amount of cuts, the M12 Fuel circular saw paired with the M12 XC 6.0 battery actually outperforms 18V circular saws running on 3 or 4 amp hour batteries in terms of cuts made into 2×4’s. 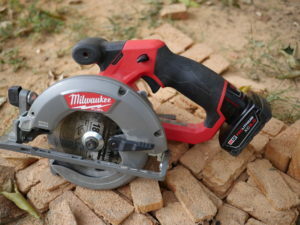 I achieved 196 cuts into 2×4 with Milwaukee’s M18 Fuel 7-1/4″ circular saw with the XC 4.0 battery. 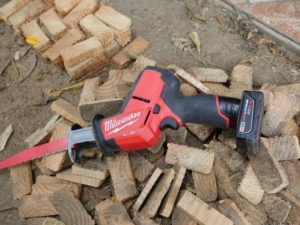 Also, Milwaukee claimed you could get up to 170 cuts into 2×4 with the M12 Fuel circular saw with the XC 4.0 battery and I achieved 223 cuts with the M12 XC 6.0 which is 53 more cuts. Very impressive! Milwaukee claims we can get up to 20% performance increase with these new batteries. 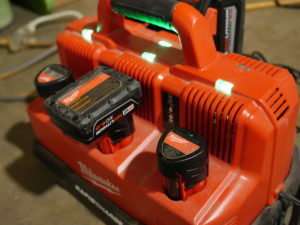 So I tested out the new M12 XC 6.0 versus the M12 XC 4.0 on the M12 Fuel Hackzall to see the difference in cutting speed between the two batteries. I made a series of 5 cuts into 2×4 lumber with each battery, measured the time it took to cut and I averaged the 5 cuts. 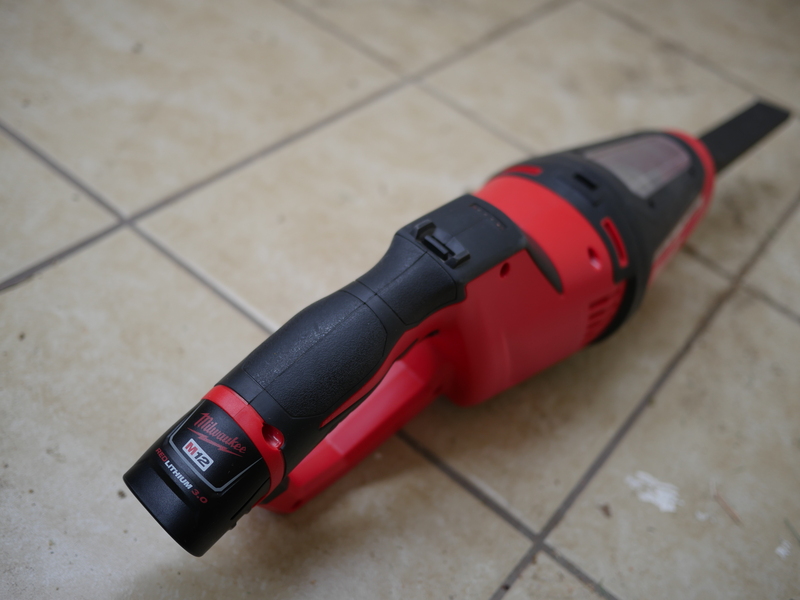 The M12 Fuel Hackzall average speed of cut was 9.71 seconds with the XC 4.0 and the average speed of cut was 9.33 seconds with the XC 6.0 battery. With these results we can see that there is a boost in performance, not a noticeable boost in performance but it’s a small increase that’s really only discernible with testing. It’s weird because I honestly felt that the M12 Fuel Hackzall was noticeably more powerful and faster as I was testing it out with the M12 XC 6.0 battery but as we can see it’s added performance increase is hardly noticeable. So I’d say the hype and the thought of using a larger capacity battery with claimed more power lead me to have a placebo affect that I was truly getting a noticeable increase in performance. 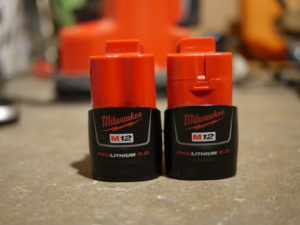 So with the runtime tests we can see that both these new M12 batteries offer increased runtime with the M12 Compact 3.0 battery offering the most runtime versus other M12 compact batteries, and the M12 XC 6.0 battery offers more runtime than any other M12 battery whether its a compact or high capacity batter. So these new higher capacity batteries are great as they give users additional runtime, but one thing that people don’t usually think about when choosing higher capacity batteries is that they not only give users longer runtime but they also take longer to charge. 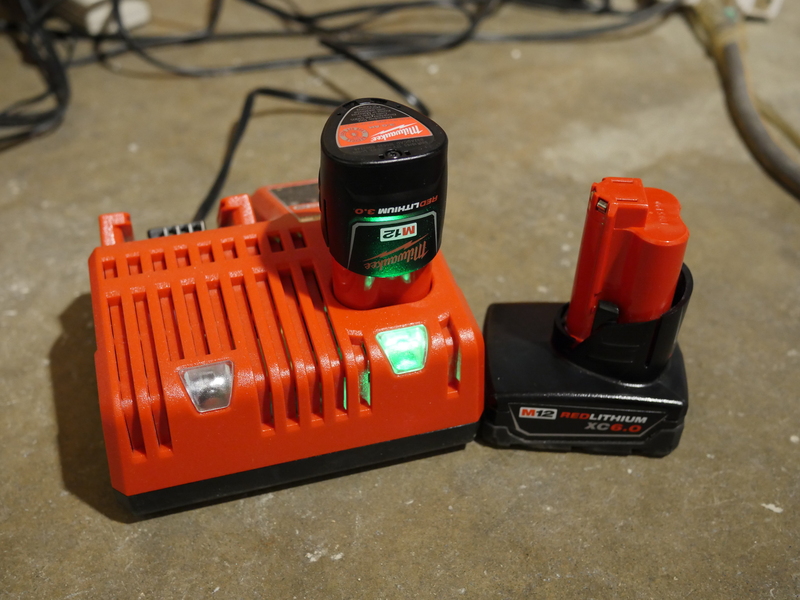 This means more power to your tools out in the field but also more time sitting on the bench charging as well. Think about it, when you fill up your vehicles gas tank halfway you get half the mileage compared to if they tank was full, but it also took you half the time to put gas in your tank. Similarly you get twice as much mileage if your cars tank is full, but it also took you twice as long to fill up than if you were to fill it up halfway. 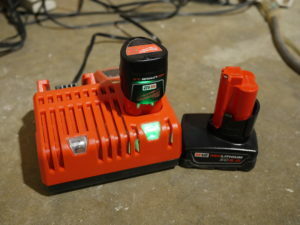 This same concept also applies to power tool batteries so to give you guys real world charge times, I charged up both batteries and measured the time it took to charge each one from empty to full. Not only did I charge them on standard Milwaukee chargers but also on the new rapid chargers to compare both charge times with normal and rapid fast chargers. Check out the results below, I also threw in the charge times of other M12 batteries for comparison. So we can see that larger capacity batteries not only give us longer runtime but they also take longer to charge as was proven in the charge times. One thing that was very strange was that the compact M12 3.0 battery was not charged faster using the rapid charger as the charge times with the normal charger and rapid charger were basically the same at around an hour to charge. At first I couldn’t believe the results on the rapid charger being the same as on the regular charge so I charged the compact 3.0 twice. On the second try I got an hour and 1 minute so it pretty much replicated the same charge time. This made me think there was something wrong with the rapid charger but I charged up a M12 XC 4.0 battery and it charged up rapidly at only 51 minutes which was inline with the recorded 54 minutes of before so the charger was fine. And as was expected, the super high capacity M12 XC 6.0 battery took the longest time to charge at roughly 2 hours on the normal charger. 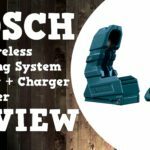 This is a price to pay for much longer runtime and higher capacity but the rapid charger does alleviate the long charge time down to a reasonable level at an hour and a half. The new batteries have been available since August 2016 as accessories to the M12 system and will be fully compatible with all 90+ Milwaukee M12 cordless tools including drills, impacts, lights, saws, etc. Awesome review. Very informative. I own the m12 2.0 & 4.0 XC for use with the 3&1 Rooftop heated jacket system. The batteries work great. I get about 2 hours of use out of a 2.0 batt on high & 6 hours on a 4.0 xc on high. I am going to look for the 6.0 xc and see if I can get a solid 8-9 hours of life as I work in extreme cold environments & staying warm is critical to job success. i guess the real question is why arent the 3.0 batteries coming with any of the tools or combos…it is what compact tools are all about….??? I don’t have the exact answer since I am not the manufacturer but I believe it has to do with cost to keep the price down. I’m sure had they included the 3.0ah compact batteries with their kits the prices would go up no doubt. Would you still buy the same kit if it were $100 more because it included a couple of compact 3ah instead? Some people might, others would rather go for the lower priced more affordable option even if they understand they are getting less. Keeping price points low make them more competitive with other brands offerings.